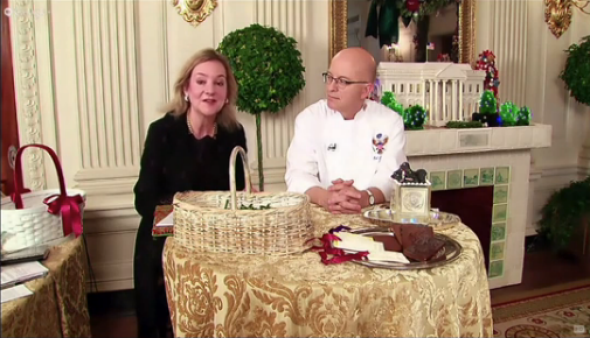 Washington Post, White House floral designer: Michelle Obama aesthetic blamed by anonymous commenter. Anonymous sources are a tricky thing for journalists. On the one hand, letting someone make a critical or controversial comment anonymously seems cowardly, and when a source isn’t identified, readers can’t fully consider how their perspective might be biased. On the other hand, a lot of journalism that’s relevant to the public interest wouldn’t get published without anonymous sources. The anonymous source in Tuesday’s Washington Post article about former White House floral designer Laura Dowling is not someone whose anonymity contributes to the public interest. Dowling left her position at the White House in February, the Post reports, because her “fussy” style conflicted with “the first lady’s emerging modern and clean aesthetics.” This claim was supported by anonymous floral rival. But putting down Dowling’s work is exactly what you just did! And by doing it anonymously, you made it so much worse, because now Dowling has to be suspicious that everyone in the small “floral community” might be the one who said the mean thing about her! That is just hurtful. Quite hurtful!